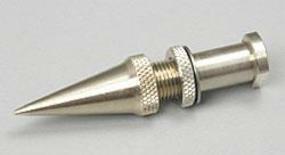 This is the Large Hole Paint Tip & Spring for Model 250 from The Badger Airbrush Company. 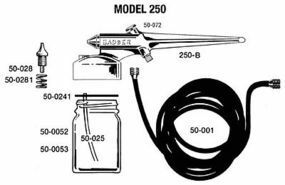 This is a Fine Needle Assembly for Badger 350 Airbrushes. 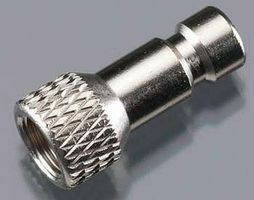 This is the Badger Male Quick Disconnect Coupler. These are the Medium Triangular Craft Cotton Swabs from Tamiya. This is the Tamiya Masking Tape/Plastic Sheeting. 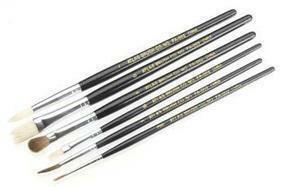 These are the Tamiya High Finish Modeling Brushes. This can be used with any paint application.